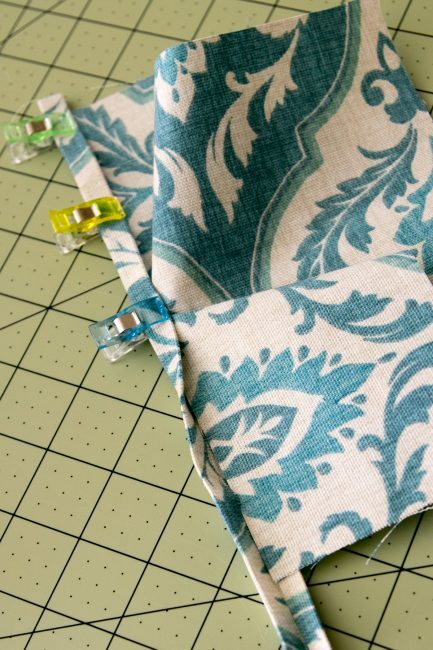 How to Sew a Placket - Peek-a-Boo Pages - Patterns, Fabric & More! 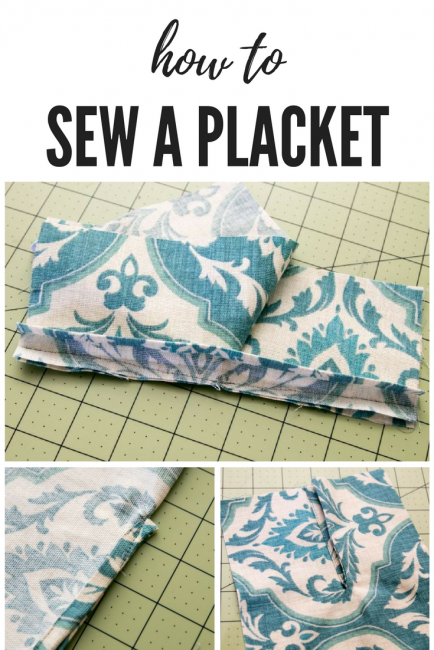 Learning how to sew a placket can be challenging but we break it down for you here. To summarize, a placket is a reinforced strip of clothing where the snaps or buttons come to do their thing. Button down shirts feature an open placket. I’m demonstrating it here with the Roly Poly Romper. I start out with strips of fabric that mimic the edges of the garment. I usually add interfacing. Interfacing adds stability and strength to a placket. It also helps it hold its shape better. 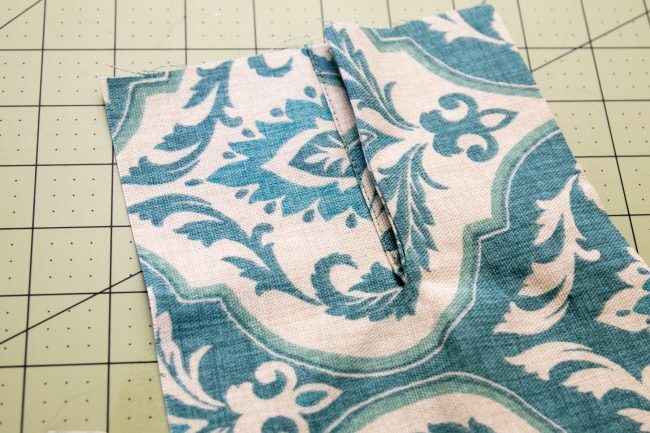 For a crotch snap placket, add interfacing to one piece. 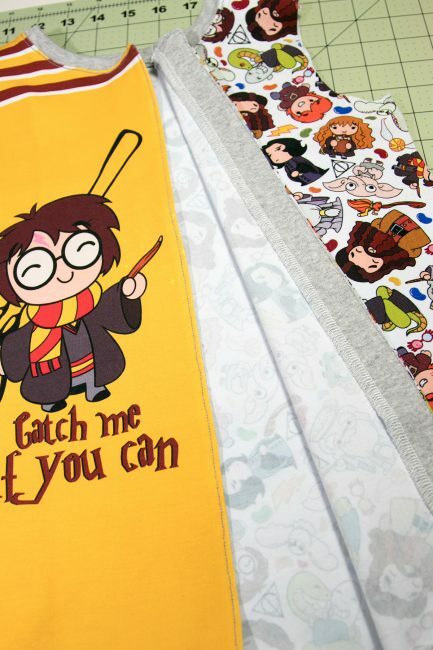 I prefer iron-on for ease of use, but sew in interfacing is available. 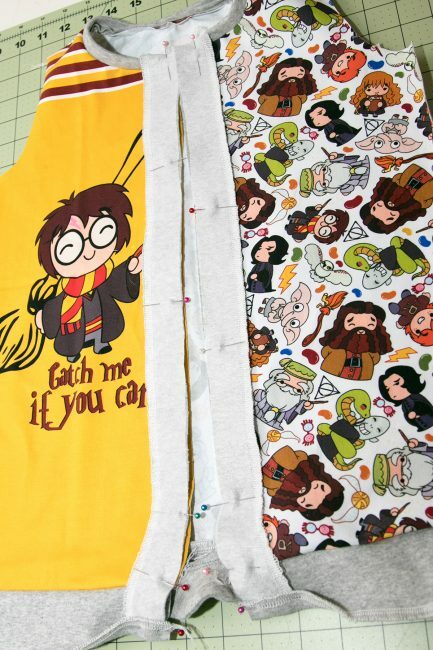 After that, place the two fabric pieces right sides together, sew, and turn right side out. Top stitch the finished edges if you like; this ribbed knit was thick, so I opted not to on this project. Line the unfinished edge of the placket up with the fabric of the back of the pants, right sides together, and sew. The plackets for the front of the romper are just as straightforward. Iron on the interfacing. 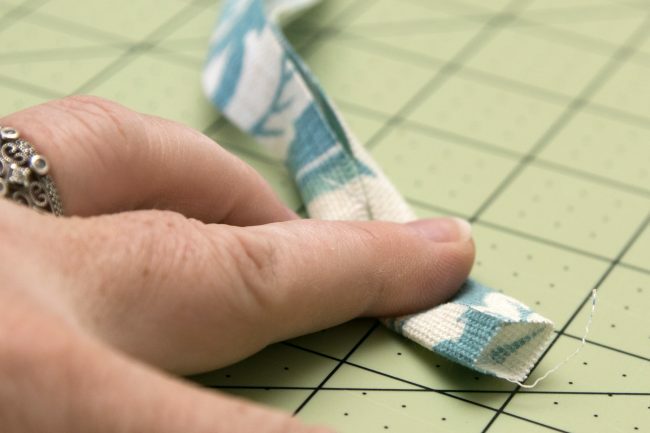 Finish the edge that won’t be caught in the seam with a zig zag stitch or by running it through your serger. After that, match it up the the edge of the romper and sew. After that, flip it to the underside of the romper (the separate placket piece won’t be visible from outside). Most of the time, I top stitch again at the edge of the placket. However, I chose not to here because I didn’t want to interrupt the panel I was using. After that, to finish the placket all you do is add your snaps, or buttons & buttonholes. Voila! The other type of placket is closed at one end. This kind of placket is used in the cuff of a sleeve, or on the back of a dress or shirt using buttons. 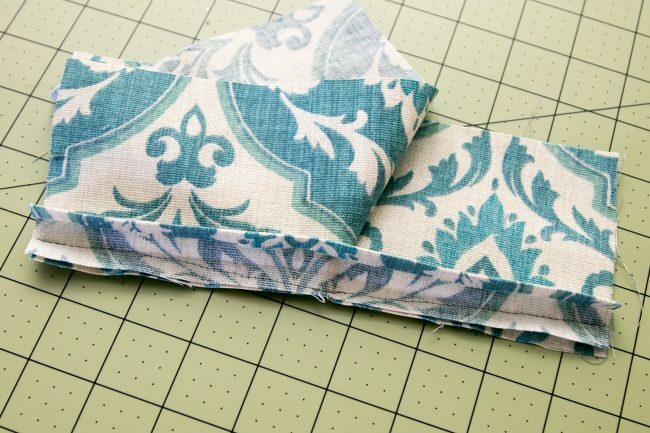 I just made a very simple demonstration using a piece of scrap fabric. The same principles apply to any kind of placket that will be closed at one end. 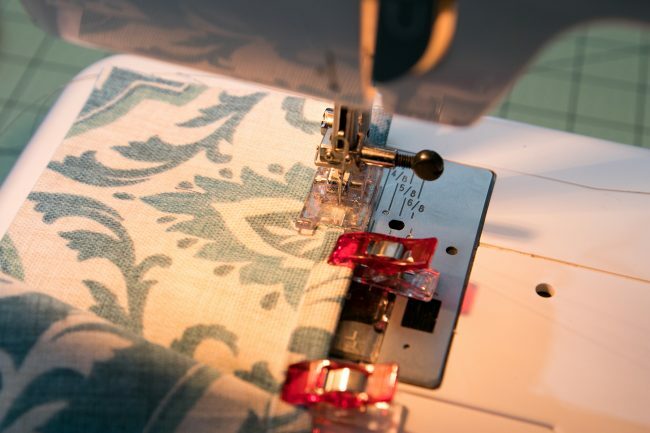 To begin, you start with two pieces of fabric; one will be a strip, and the other the garment where the placket is being added. After that, cut a slit in the garment. 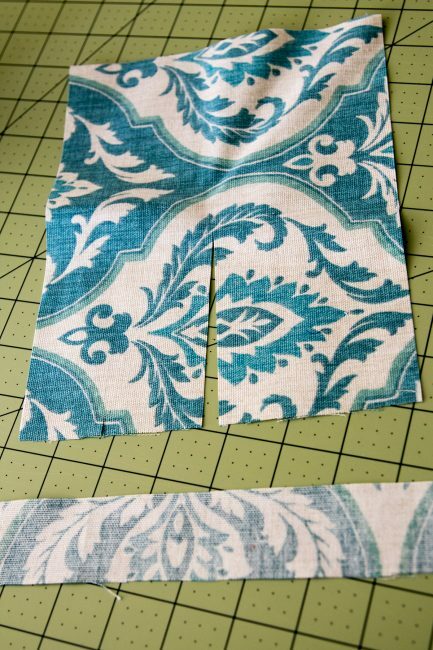 Next, fold the strip of fabric in half long ways. Unfold, and then fold each long edge in to meet at the center. 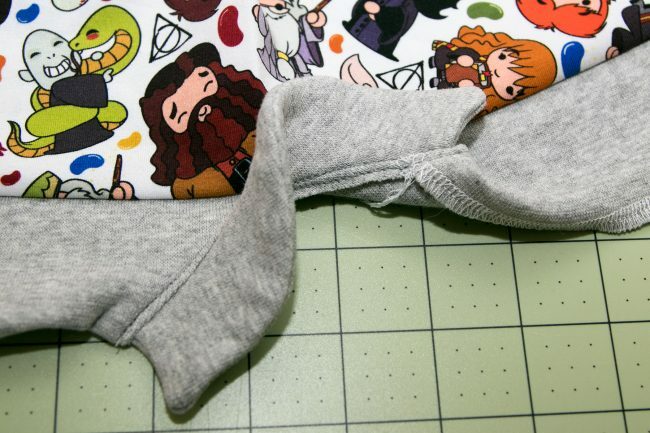 Fold in half again at the original fold, encasing both of the long, unfinished ends within. Press well at each step. 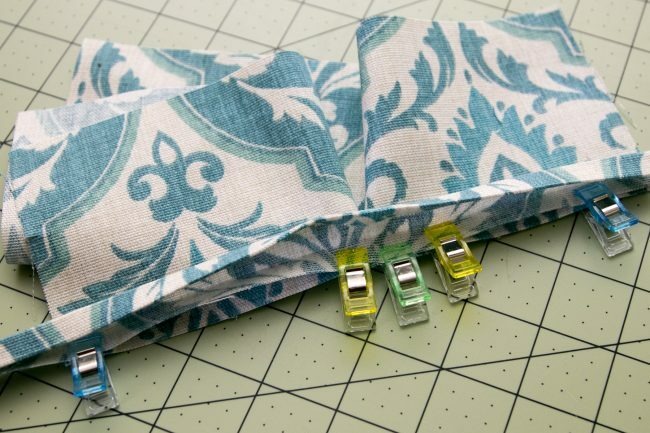 You can attach the garment to the placket in two ways. First, you can just slide the placket onto the edge of the fabric which you will pull so it appears to be one long, straight edge. It encases the garment’s raw edge all the way in to the center fold. 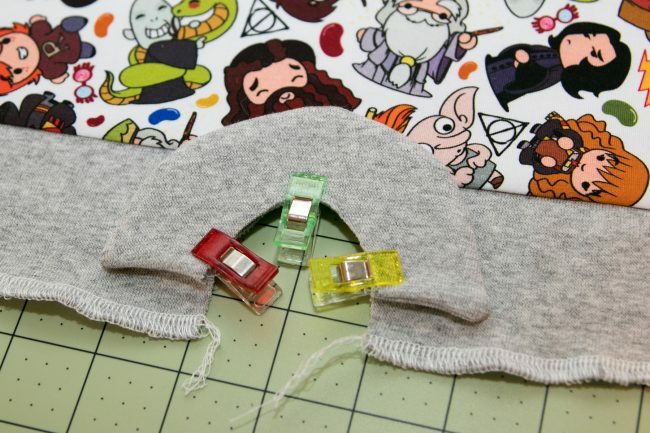 Pin well, and sew. This method can be very tricky when you get to the bottom of the crease. It is very easy to end up with a pleat (which is fine on a full skirt or even some fuller sleeves, but not something you want to see in many garments). 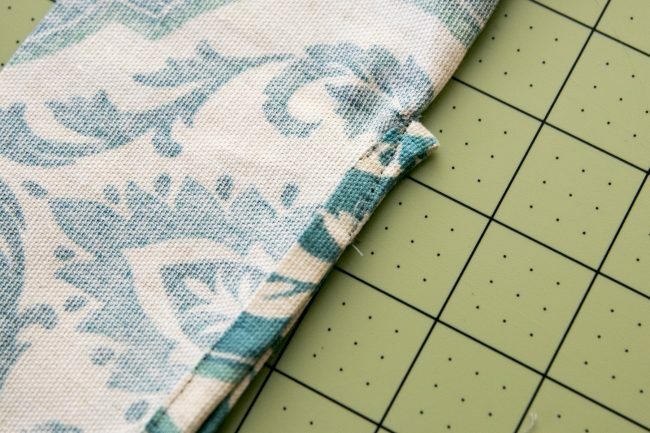 The second way to add the placket is to unfold the placket and match a long, unfinished edge to the edges of the slit you cut, right sides together. …to look something like this. The closer you can get to the edge of the fabric, the less likely you will be to end up with a pleat at the bottom of your placket. 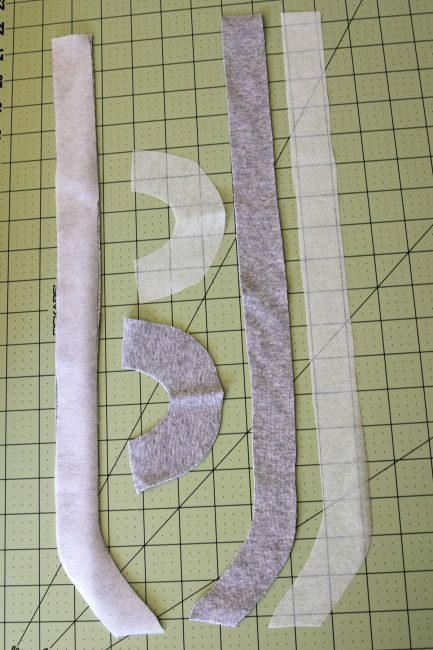 Take into consideration the type of fabric; if it frays easily, add a bit of interfacing before you cut the slit. Next, refold the placket so that all of the unfinished edges are caught up inside the placket, tucked against the center fold. Sew very close to the folded edge on the right side of the garment. Be very careful as you reach the center of the placket (the bottom of the slit). 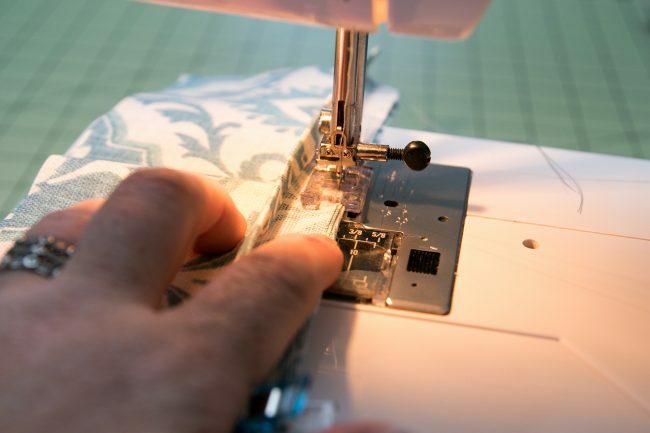 Go slowly; drop your needle and raise the foot as needed to move the fabric around so that you don’t sew any folds into the garment. Fold the placket in half, with the right sides of the garment together, and stitch a diagonal line through the placket. Open the garment up and press well, and now you’re ready for snaps or buttons. Plackets can be intimidating, but are easy once you’ve got the basics down. 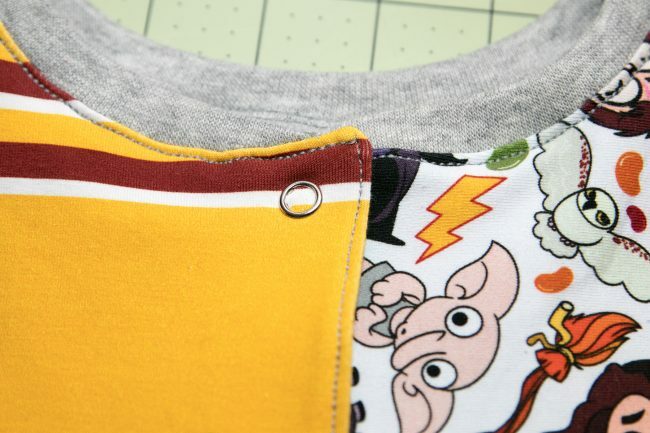 By mastering plackets, you can make professional looking garments of many types. Previous Post: « Aspen, Alpental and Altitude Sew Along Day Five!